Podcasting has grown steadily over the years. Due to its popularity, more entrepreneurs are jumping on the bandwagon and using podcasts for their business. A podcast can be a strong platform to deliver your message. It is accessible and can be downloaded on any device. It can also be used as a platform to bring change and to encourage people to take action. Podcasting can also bring awesome opportunities your business. Here you can reach out and build an audience from anywhere in the world with the help of proper strategy and valuable content. You can also encourage those who don’t have time to read blog posts to consume your content through podcasts. 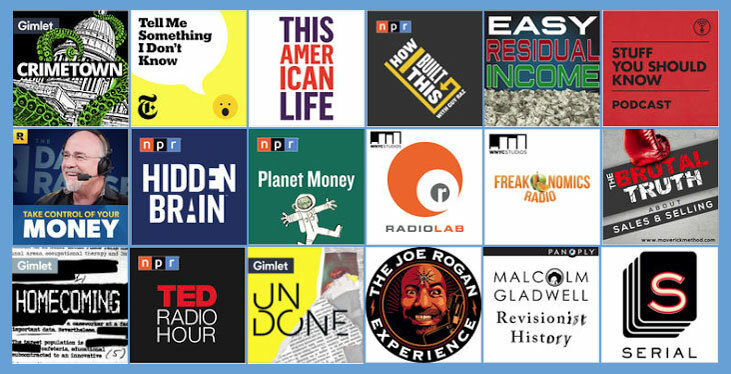 Here are a few helpful tips on how you can start your podcast. Like everything else, you must identify the reason why you want to do podcasts. Knowing this will help you identify your goals as well as your target audience faster. Identify your niche by creating a list of what you love, what you like talking about, what you want to learn, and which influencers you want to connect with. As for your audience, it also helps to know how your podcast can help them improve their skills and grow their business. You also need to know the motivation you need in order to commit to podcasting for long term. It might take time to build enough audiences to earn from your podcast. And it takes a lot of patience to continuously produce content. So finding a reason why you need to push for new and fresh ideas for your podcast is also a must. The next thing you need to do is brand your podcast. But branding is more than just finding the right name or the right audience. It’s all about aligning your message, your purpose and your image. First, you need to craft a podcast description. Take your time in writing this and include relevant keywords. Remember, your podcast will be available on the internet, so keywords are important. Next, decide on your target audience and rating. Is your podcast going to be mature? Also, determine your podcast’s content structure. Are you going to host it yourself or with a friend? Will it be an interview type or a narrative one? It would also be best to secure a domain name and blog name for your podcast. This way, your listeners can have access to more information about you. Never underestimate the power of a good artwork. This is the first thing your audience will see on their iTunes feed or in other podcast channels. Your artwork should be beautiful and professional looking. The images and texts must be easy to read. Your theme and music should set the tone and energy of your podcast. It will also add to your branding. You can hire a voice-over talent for this, or buy affordable music at JewelBeat and AudioJungle. Like managing a website, your podcasts should have valuable content. Think of interesting yet relevant topics that are related to your brand. For example, if you sell kitchen wares and appliances, you can talk about food recipes. You also have to plan the length and number of your episodes. Podcasting requires consistency. If you don’t release a new episode after a long time, your audience will forget about you. Keep in mind that there are thousands of podcasts out there, all fighting for attention. Investing in a good quality microphone is a must. Since you’re dealing with audio files, the quality of your devices will have massive effects on your recordings. 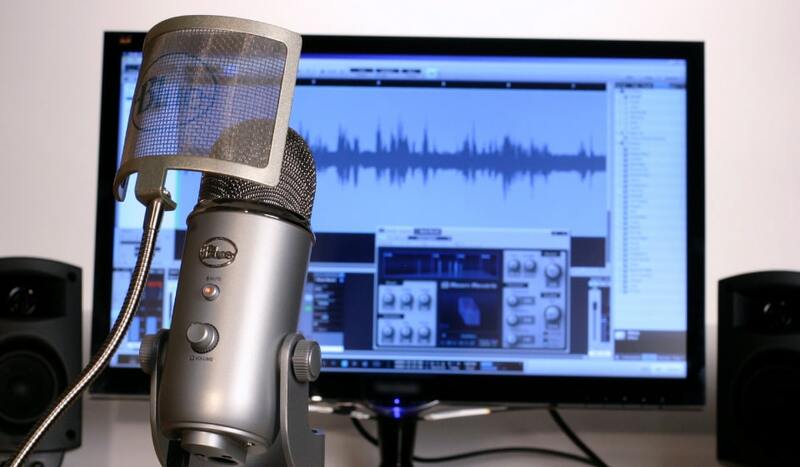 In addition, you’ll need an audio recording software that will allow you to record from your microphone. You should also look for a software also lets you edit your recordings and save them as mp3 files. Most podcasters recommend free software like Audacity and GarageBand. If you have the budget, you can try Adobe Audition, which costs $19.99 per month. You might also want to buy a pop filter. It eliminates the ‘popping’ noises your mouth makes while you’re recording. A good pair of headphones is also a must-have if you’re going to conduct an interview. LibSyn – LibSyn is a podcast media host. It provides everything your podcast needs like publishing tools, RSS feed for iTunes, website stats, and advertising programs. They currently host more than 10,000 shows. Their price starts at $5 per month. Blubrry– Blubrry is also a podcast media host. With their extra tools, you can measure the downloads and plays of your podcast. They also have a podcasting plugin for WordPress. In addition, they can manage an ad campaign for your podcast, too. Blubrry’s hosting plans start at $12 per month. Buzzsprout – Buzzsprout makes it easy for new podcasters to upload and share their files. It lets you promote your podcast to any platform and monitor its statistics. If you want to try this tool first, you can sign up for their free plan. Pamela – Pamela is a free Skype audio and video recording software. This is ideal if you’re going to interview some guests in your podcast. Pamela is reliable and easy to use. 1. While editing your podcast on your software, experiment with the Settings. This can enhance the quality of your audio file. Don’t forget to edit the ID3 tags of your file, too. The ID3 tag contains the podcast name, episode name, and the artwork. 2. Build a small audience before your launch. Inform your consumers about your podcast. You might want to give them some teasers or show the first three episodes to tickle their interest. 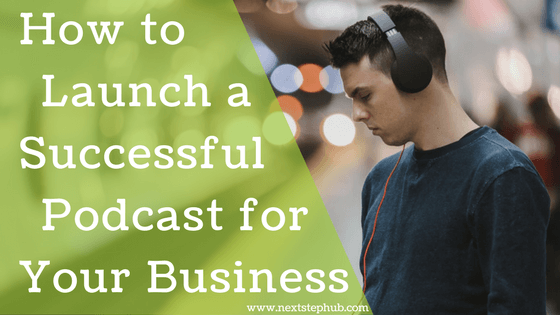 This way, you’ll have a good amount of listeners on your launch. This gives you the chance to be featured on iTune’s ‘New and Noteworthy’ section. 3. Encourage feedback. Provide special rewards to those who leave comments and suggestions. You can give them special offers or discounts to your products. 4. Be consistent. Stick to your schedule and upload new episodes. Your listeners are giving you their time, so you have to take podcasting seriously. Do you use a podcast for your business? What are the other tips you can share? Tell us in the comments.